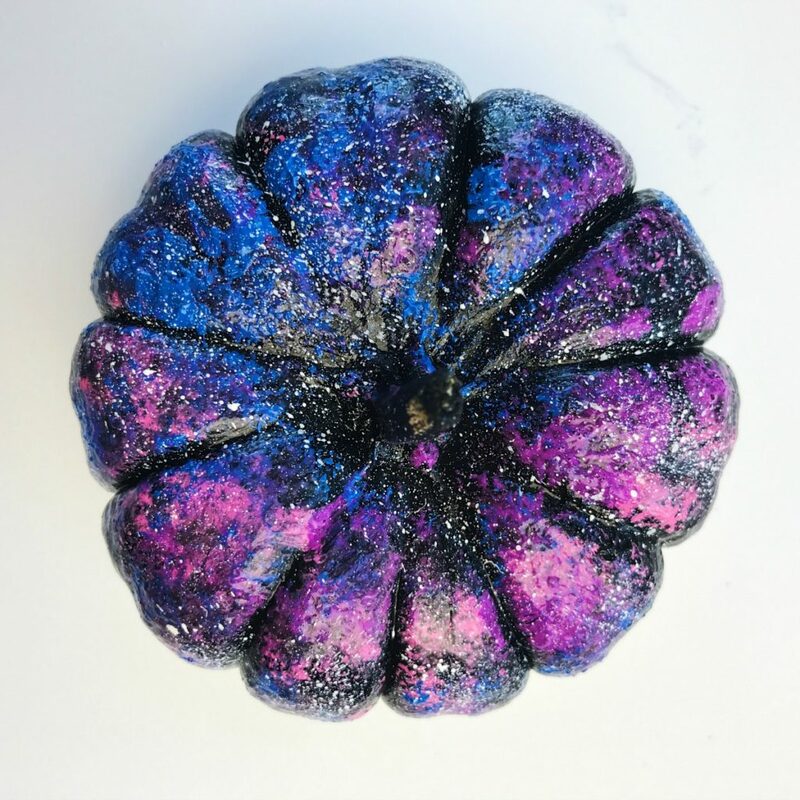 If you’re a fan of colorful, no-carve pumpkin decorating ideas than you definitely need to add a galaxy painted pumpkin to your must make list before Halloween. 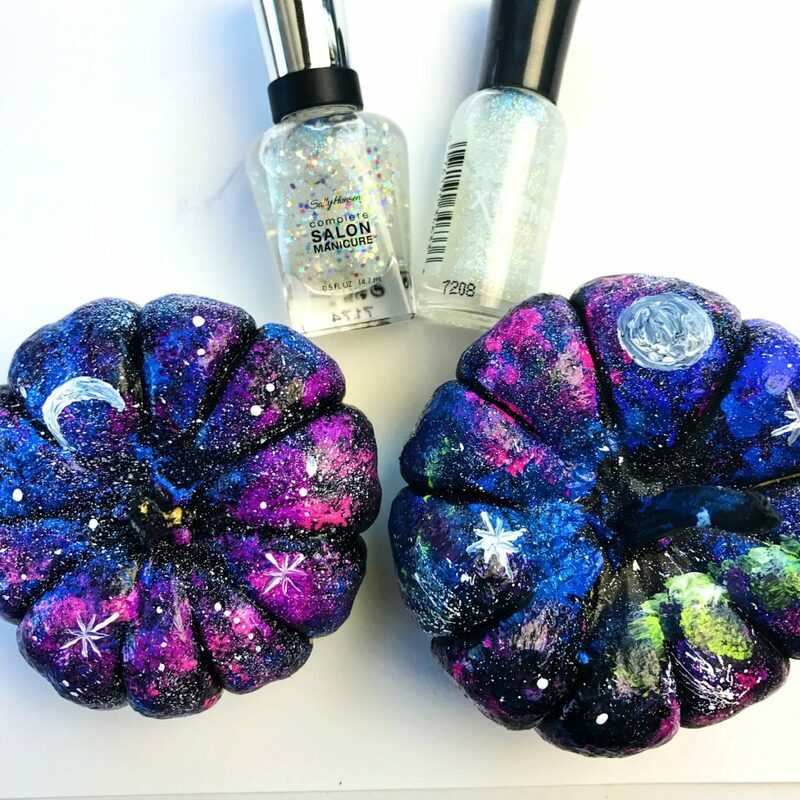 I actually got the idea for making these outer space inspired pumpkins after having so much fun making these galaxy inspired painted rocks! This pumpkin craft is great for all ages and it will work on all different sized pumpkins. 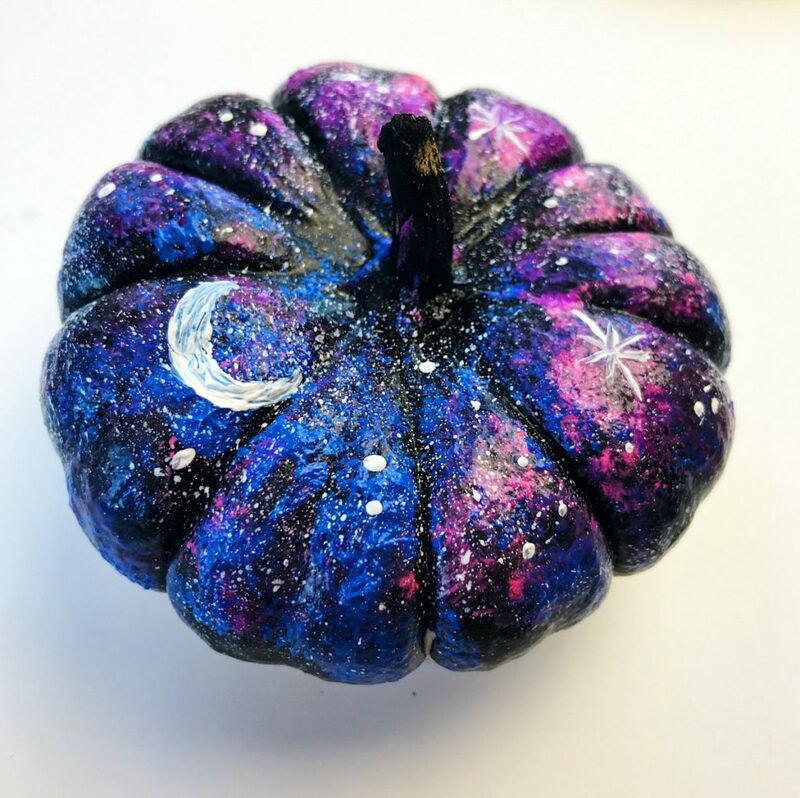 I like the mini pumpkins because I think they’re cute to set-up throughout the house, but a large galaxy painted pumpkin would be beautiful too! 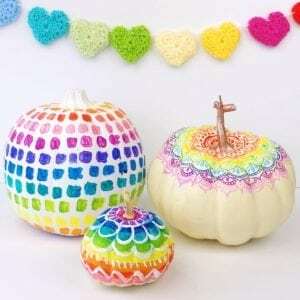 Mini pumpkins (white or orange) – I got mine at Trader Joe’s. 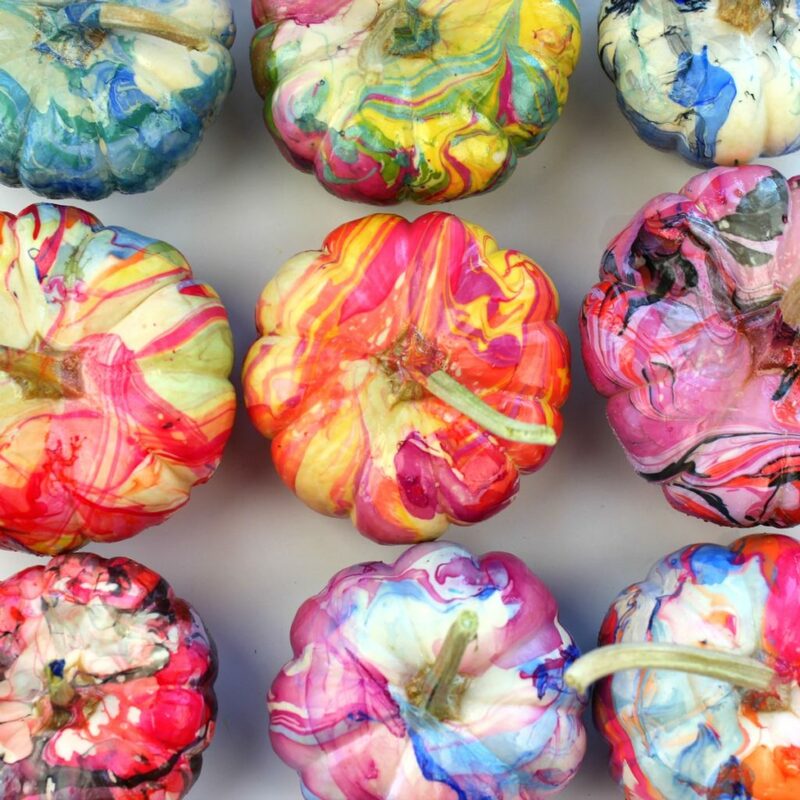 You could also use fake plastic pumpkins or ceramic ones. Acrylic paint – I used the Martha Stewart brand of acrylic paint. 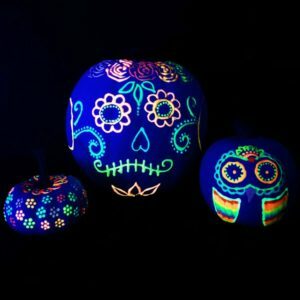 Black spray paint or primer (Optional) – This is a great option if you want to make a bunch of these pumpkins. 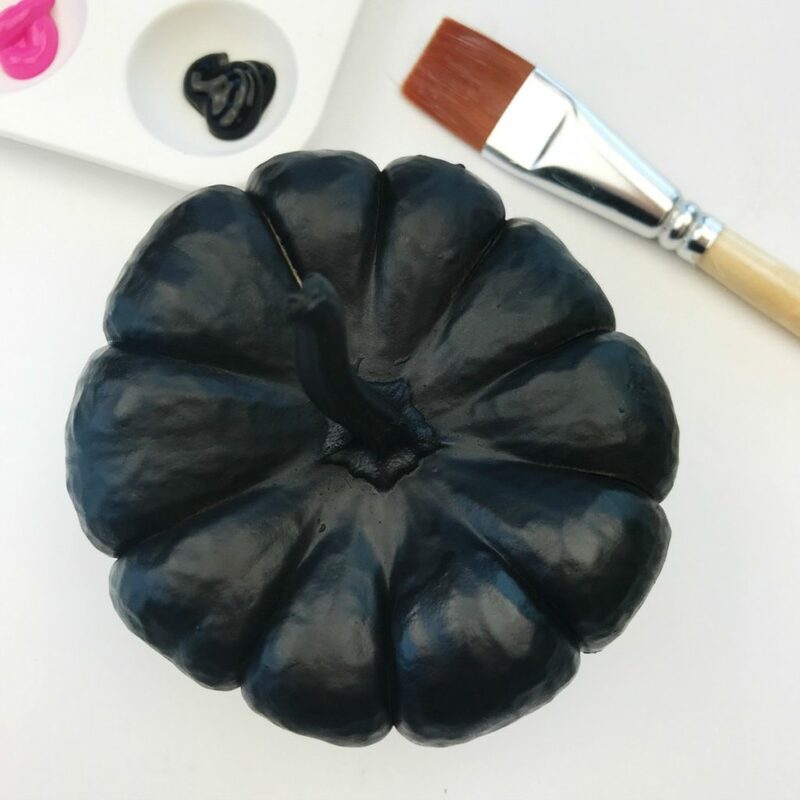 Cover the entire pumpkin with black acrylic paint using a large paint brush. 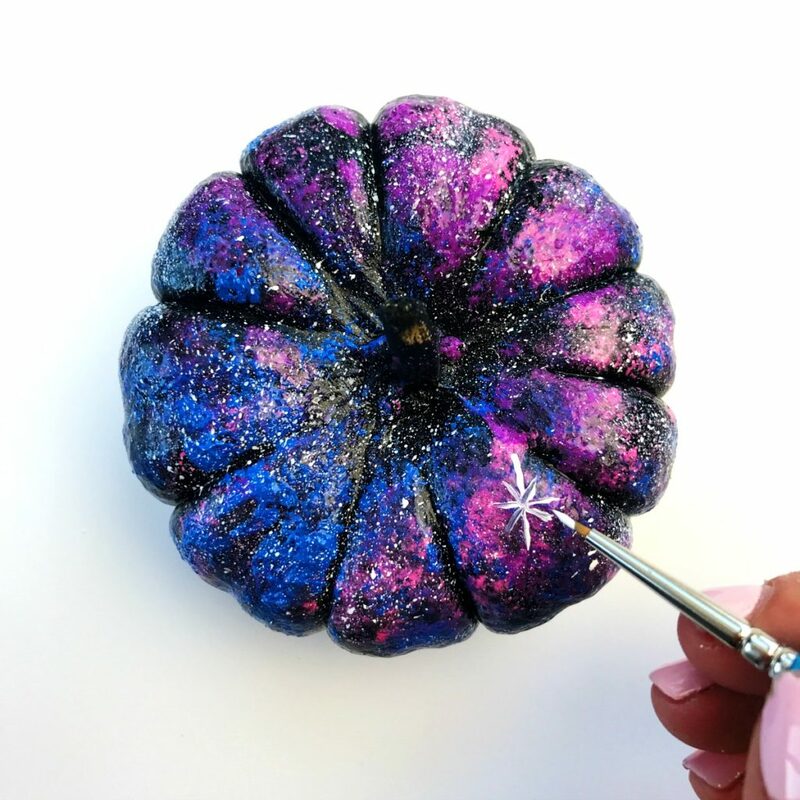 If you want to make a large batch of these pumpkins I suggest using a black spray primer or spray paint so you don’t have to paint each pumpkin individually. 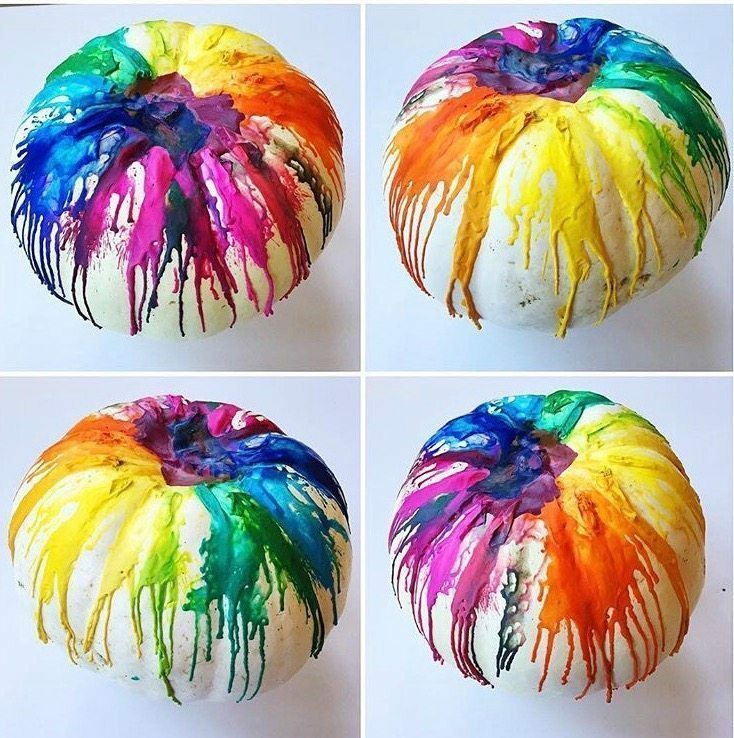 Using the round foam sponge brush, pick a color of acrylic paint and lightly sponge it onto part of the pumpkin. 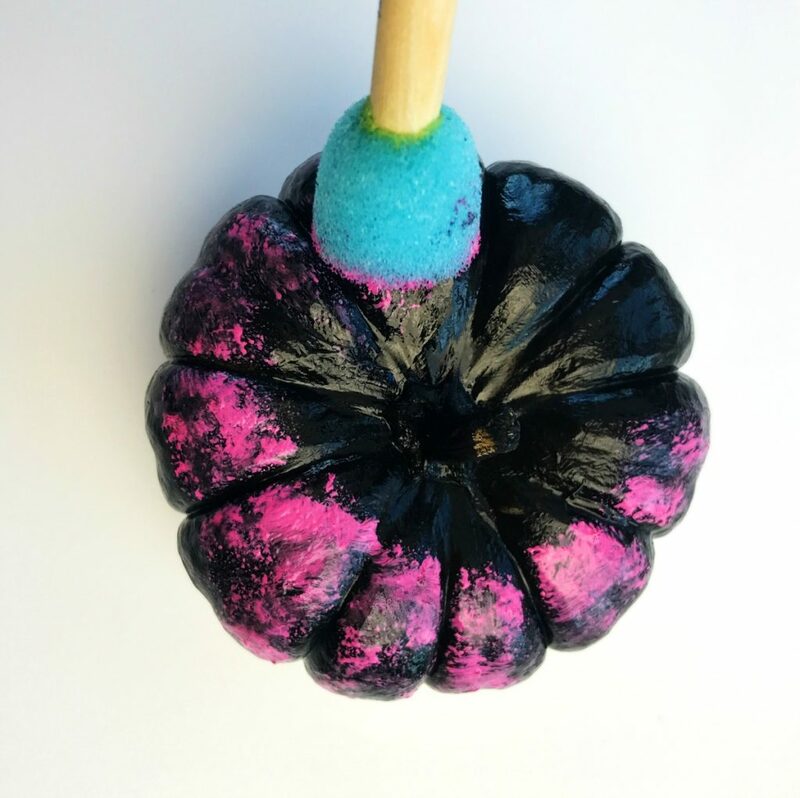 Sponge on more paint colors to other parts of the pumpkin using the round foam sponge brush. If you cover up too much of the black, you can always go back and sponge on some more black. 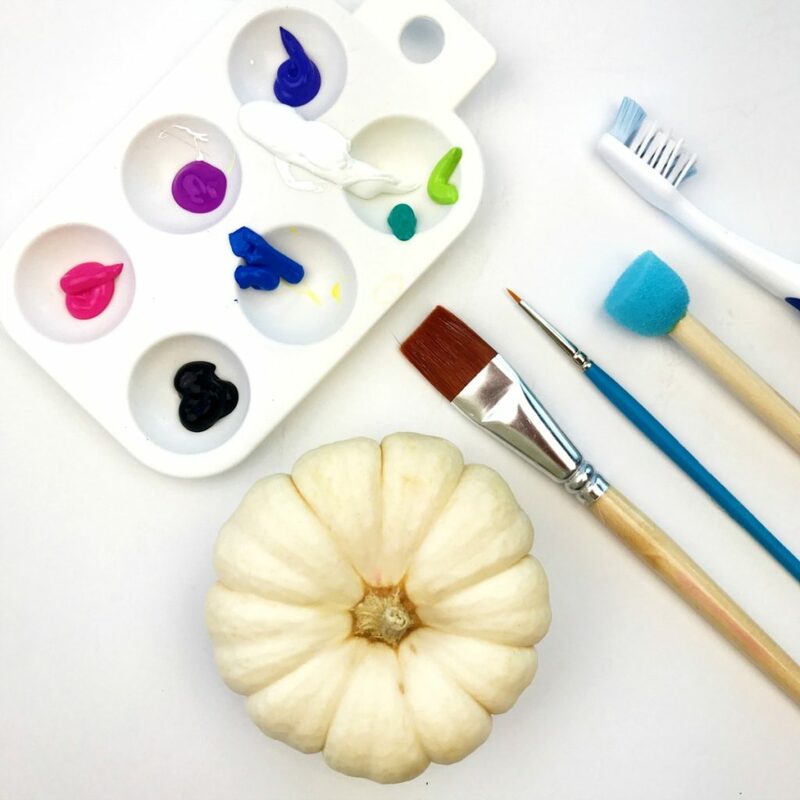 Add stars by applying white acrylic paint to a toothbrush. Keep the bristles pointed away from you (you want them facing the rock), and run you finger up the bristles, gently flicking the paint onto your rock. 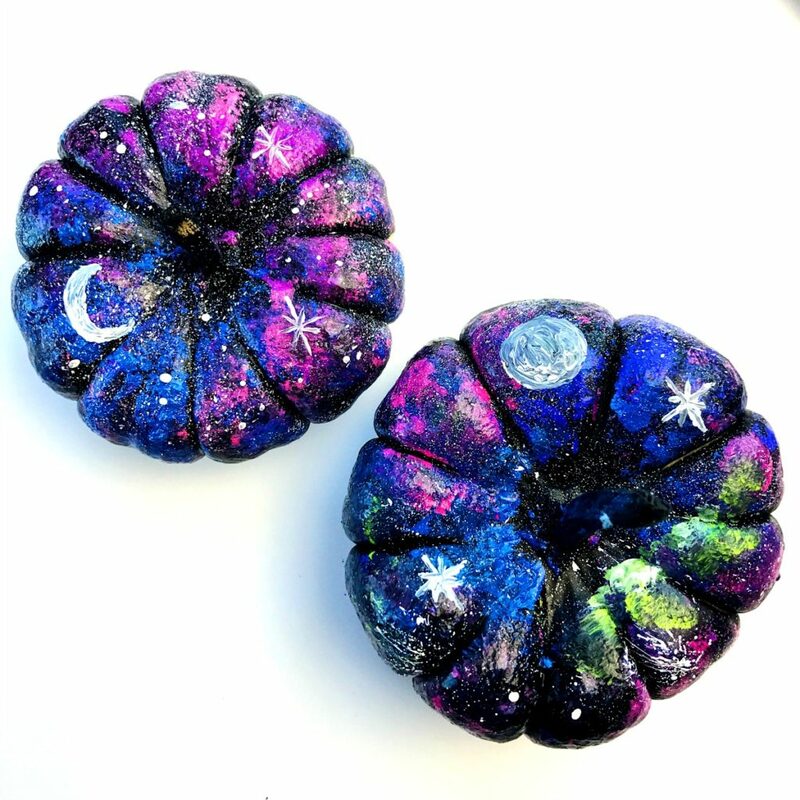 Once the paint has dried, add larger stars, a moon and constellations using a small paintbrush. 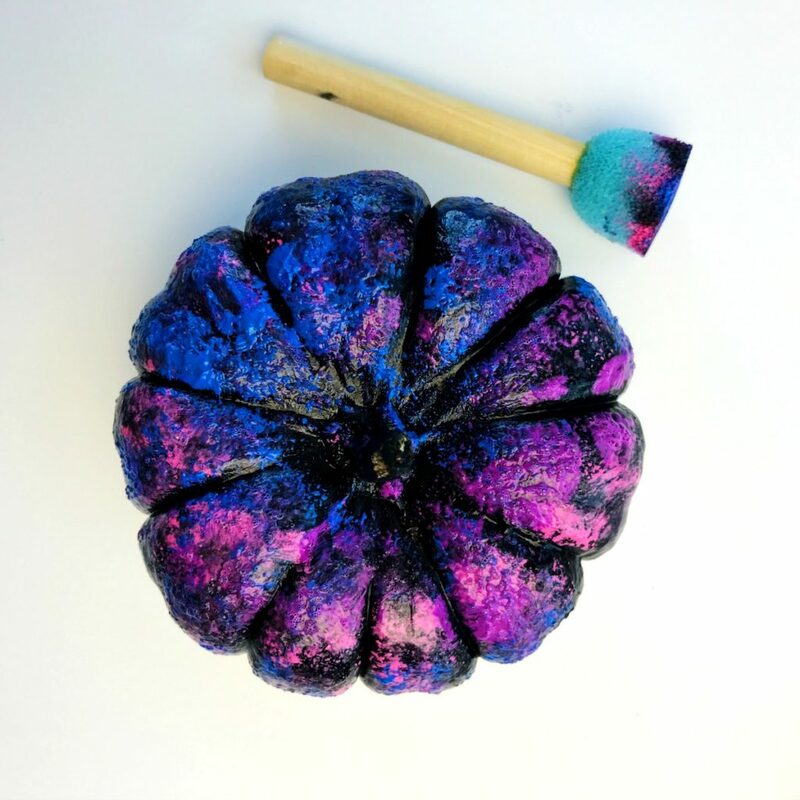 If you want some added sparkle, use a little nail polish and apply to parts of the pumpkin for extra shine. Doesn’t that look like fun? 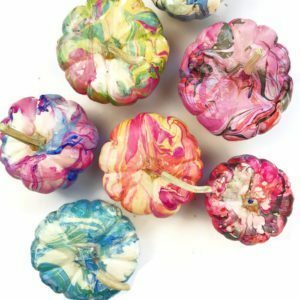 If you are looking for some other fun pumpkin decorating ideas, check these other colorful pumpkin crafts: Nail Polish Marbled Pumpkins Melted Crayon Pumpkin I’d love to see how your pumpkins turn out. 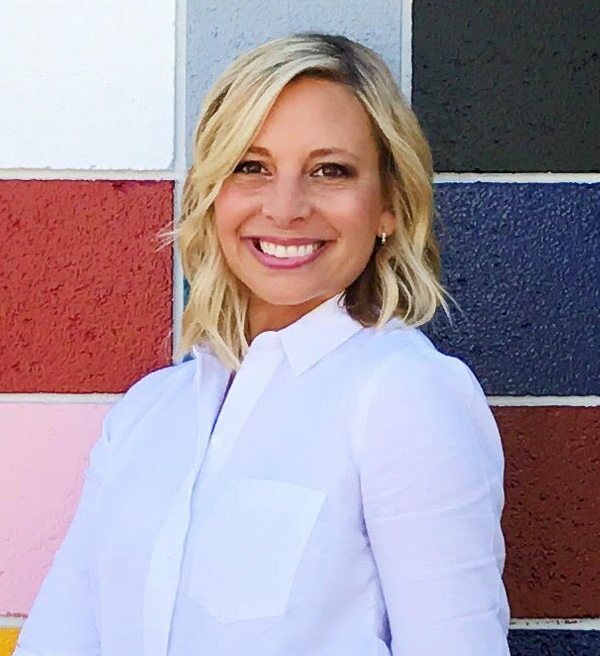 You can share a pic with me on Instagram or Facebook.